Google with its Panda and now Penguin updates is targeting spammy SEO techniques. Some site owners have already paid SEO's who have asked for more money to fix issues with the Google Penguin update. These issues are actually caused by the SEO techniques used. You know the emails claiming to get you to the top of Google - the techniques often used are very spammy and not appreciated by Google. A number of new clients have come to me saying their site has dropped out of Google can I help. Yes - but you may not like the cure. In some cases if the site does not respond I will suggest scrapping it. We can look for issues like the IP address being black listed. Usually I will look for a response over a month and hopefully that response occurs and we can work at maintaining the site with better SEO techniques. Freshness of content is increasingly important to Google, however this does depend on categories of queries that should be fresh. Hence just changing your site every day is not necessarily going to work here. Its important to have a site that can change easily and in a way that improves SEO value. QDF refers to a query that deserves freshness. So Google will enhance sites with fresh content if the query deserves freshness. SEO software is used by many SEO's to help choose keywords and construct a site better for Google. The problem is everyone has access to that software including Google - who will logically look at what techniques are used and alter their algorithms to mitigate them. Another issue is my sites constantly out rank other more fancied sites in these software packages when a comparison is done. The approach we take to SEO is exactly what Google constantly reinforces - "Create a popular site"
Logically Google is better at measuring this - if a search is done on a topic and the searchers continually come back to Google to search the same keywords again - the user was not happy with the result. Hence a popular site is just that - you do not need to tick all the SEO boxes to have a popular site. Part of the value we add is being a multi-skilled developer (Web development, programming video & SEO) who is SEO aware - hence you do not get the site created by the designer and then adjusted later for SEO - it is built for SEO in what I call an Optimised Site. Not every site we touch turns to gold - sometimes we need to adjust our sites - or find surprisingly high levels of competition in certain areas - this is all part of the process. It does require constant updating of skills and getting a feel for the trends used to measure a quality site. 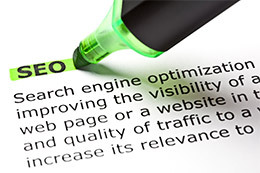 SEO is still the best value for money in promoting a business especially when it is done properly.